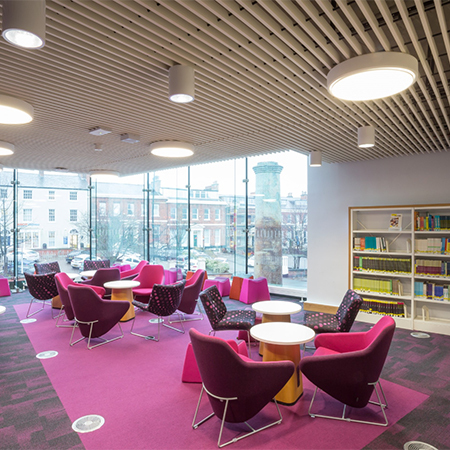 The new £16.1 million Laidlaw Library at the University of Leeds has been enhanced by an 800m2 wood grill ceiling, designed and manufactured by Hunter Douglas. 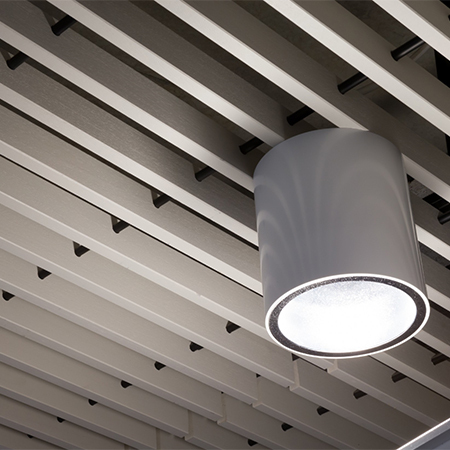 It comprises a pre-assembled grill of five slats each measuring 20mm x 55mm, which were threaded on to black dowels to maintain their structural integrity. 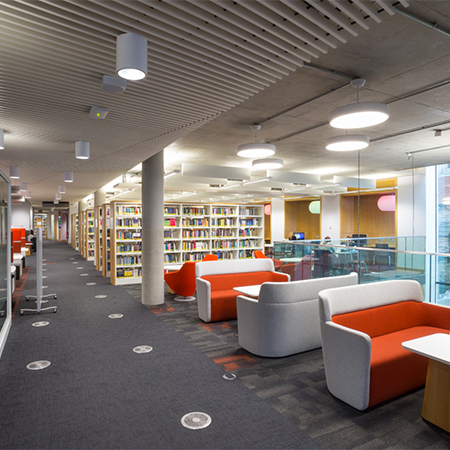 ADP Architects wanted an industrial-style finish, so no acoustic materials were used to fill the 55mm gaps between the slats. African Ayous was specified, which was stained white RAL 9010 with water-based paint in the Hunter Douglas factory in The Netherlands before being transported to the UK for installation. The wood also has Flame Delay fire retardant impregnation to achieve Euro Class B-S2-D0 fire resistance.